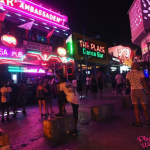 AYIA NAPA 2018: The party awaits! Ayia Napa 2018 has without a doubt become one of the most popular holiday destinations for young people over the years - Which is why you should 100% take this once in a lifetime opportunity to jet off this summer and work abroad with PlayaWay! Apart from the unbelievable nightlife, Ayia Napa has so much more to offer. From the waterparks to the weather, here are the top 4 reasons to work there THIS SUMMER! [caption id="attachment_1365" align="aligncenter" width="341"] Ayia Napa 2018[/caption] Ayia Napa is known for its crazy night life… And for the party animals out there, you will not be disappointed! With such a wide variety of bars, you’ll get a completely different vibe with every one you visit! Senior Frog’s is known for its modern music and party atmosphere and they also offer half price drinks before 11pm which can NEVER be missed! The Castle Club is the perfect place to go if you and your mates love your music. Their 1st floor plays house and commercial music, whereas the 2nd floor plays R’n’B and hip hop music so you can truly get the best of both worlds when visiting! In the summer months, Ayia Napa averages on a temperature of about 28 degrees EVERY DAY, which with the blazing sunshine, is more than enough to get that tan going! Who can remember the last time England reached above 10 degrees because we definitely can’t… Even more of an excuse to secure your space with PlayaWay and hop on the plane with us this year!